The message was waiting for me when I got home from work: "Betty. We have a Red Alert. I repeat: Red Alert." It was Neighbor Linda--a woman who had raised boys and therefore, not prone to overreaction. So I knew it was big. "They are out of Lemi Shine at Albertsons. I checked at all the other stores in town and no one is selling it. I've got the manager at Albertson's trying to get it. This is a red alert. What are we going to do now?" I understood her reaction. Before Lemi Shine she had been soaking her glasses for hours in vinegar. After experiencing Lemi Shine, there was no way she as going back to that way of life. I went to the store myself to check it out. No Lemi Shine. A week later I went back. Home supplies were running low and the neighbors were getting restless. While checking out, I asked the register lady about Lemi Shine. She immediately tensed up, her eyes got wide and the fear was evident in her voice, "No. No. We haven't had any and we don't know when it's coming in." She relaxed only when I smiled at her and said "OK." She leaned towards me and said, "Sorry, but I usually work at the other store, the one by Leisure Village." 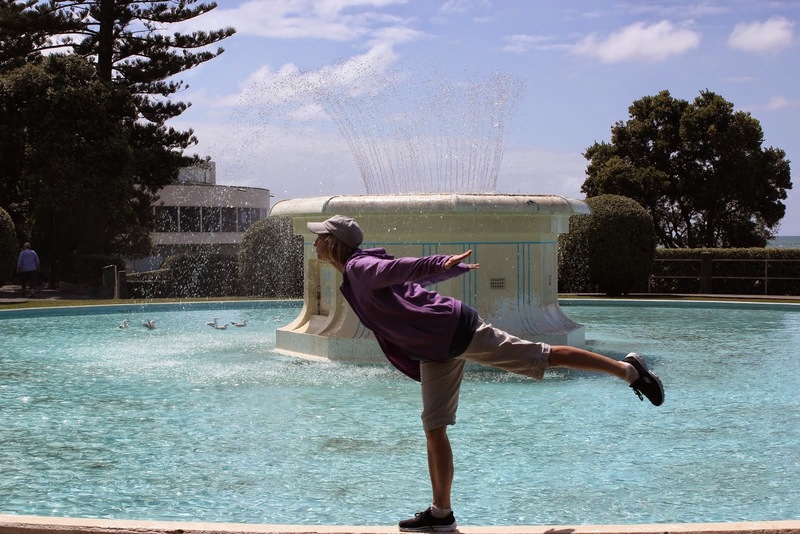 (Leisure Village is our large retirement compound, sometimes referred to as "Seizure Village.") She continued, "People over there are getting really upset about this whole thing. 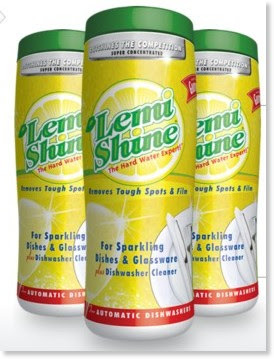 You get yourself a shipment of Lemi Shine, take it over there and you'll never have to work another day in your life." Evan, always ready to make some cash, got wind of this and insisted that we drive him out of town, to another store that shall go unnamed. He found the beloved crystals, bought out the six bottles available there, came back to our town and proceeded to plan to sell the supply to our desparate neighbors at inflated prices. Before he set out, we discussed the importance not gouging the people we live among. Neighbor: "Where did you find this?" E: "Look, lady, the point is not where I got it. The point is I've got it and you want it. Now do we have a deal or not?" Unprepared for the passion and urgency expressed by the first woman he showed his stock to, he did not stick to this script and caved on the first conversation! However, the women of the neighborhood, dazzled by the return of the happy yellow and green canisters, bought them even at Evan's somewhat inflated prices. Lemi Shine has not reappeared at our local store yet, so Evan stocks up at the store that shall go unnamed when he can. The women nod appreciatively when he passes by. He's the man in the 'hood who has what the ladies need. I get my Lemi Shine from the guy who hangs around near the liquor store, where a pair of Converse sneakers hangs on the telephone lines up above. "Lemming Shine," he calls it. I have never even heard of this product! Shhhhhh!!! Don't post about it any more! I don't want others to know so they don't run out in my area! I have to say, I love your neighbor! OK Betty, I know Evan's source. How about a couple of bottles and I'll keep it on the down low! Intrigue! Blackmail! What else could a gal want from a dishwashing additive? I followed a LinkWithin photo to this post. I TOTALLY understand the panic mode of running out of this product! I had never heard of it until we moved back to Indiana in 2006. Could not believe how caked with calcium and lime was the heating element in our dishwasher that was in our new home. Then I discovered Lemi Shine. It took away ALL of that crud! I do recall it being difficult to find about the time of your blog post. Thankfully it has reappeared on the shelves in our stores. All is right in the dishwashing world once again.